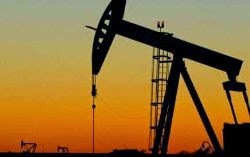 Brent crude fell below $70 on Wednesday after a report suggested that the Saudis expected still lower prices for oil, Reuters reported. The Wall Street Journal, citing people familiar with the situation, reported on Wednesday that Saudi Arabia, OPEC’s biggest oil producer, believed crude prices could stabilize at around $60 a barrel. Brent was trading at $115 a barrel in June. Brent today finished up at $68.38 a barrel.